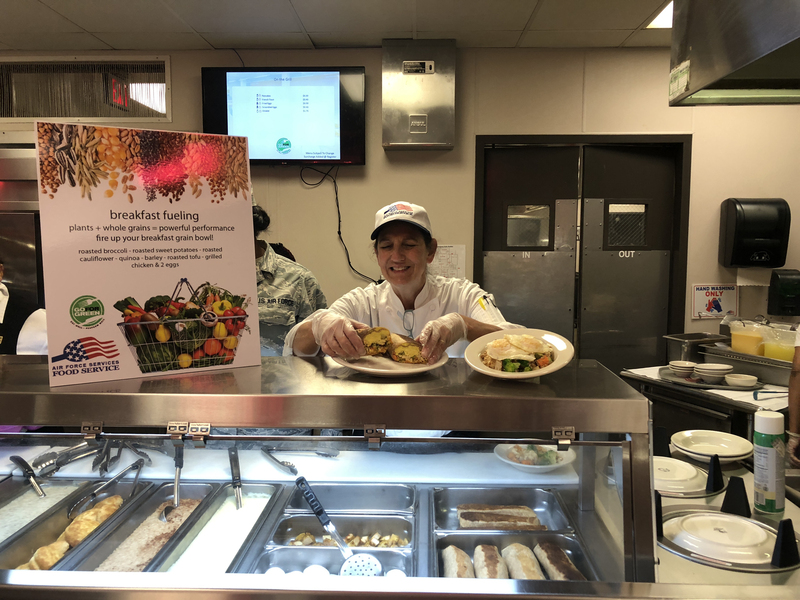 Hyde Park, NY – Building on the success of an initiative that launched in 2018, The Culinary Institute of America’s partnership with United States Air Force foodservice operations is really taking off. Through the college’s consulting division, the CIA has been working with the Air Force to improve both the taste and health value of the food our nation’s airmen and women eat. A consulting team consisting of former CIA faculty members, along with alumni chefs and dietitians, has been working closely with the Air Force’s foodservice team. They analyzed and revised more than 700 recipes, created a new 28-day meal plan, and elevated serving stations at facilities to provide fresher, healthier, and more contemporary dining options. 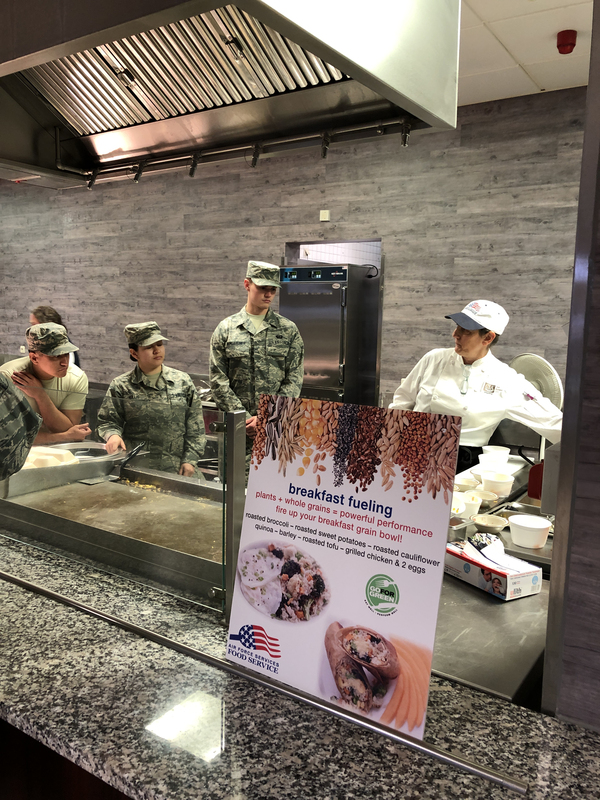 For the program’s second phase, CIA Consulting will be working with the Air Force Club team to begin offering healthier foods in off-duty locations as well. Upgraded menus incorporate more bean, whole grain, and vegetable options, and include specialty salads, wraps, and breakfast grain bowls. The effort is part of the Department of Defense’s “Go for Green” (G4G) initiative, encouraging members of the armed forces to make proper food choices for optimal performance. Go for Green has been around since 2011, and when it came time for an update, the USAF came to the CIA. Through the first year of this partnership, the CIA has trained 150 service members and civilian foodservice managers at American air bases in the United States, Germany, and Japan. CIA Consulting is the industry complement to the college’s degree programs. Leveraging the expertise and diversity of the entire college faculty, it provides training, professional development, and customized business solutions for food manufacturers, restaurants, retail, and non-commercial operators. The CIA’s relationship with the U.S. military goes back to the college’s founding in 1946, when it was created to provide training to veterans returning from World War II. The college later began customized training to active service members of all five branches of the armed forces, and the Air Force and Navy have been sending their Hennessy Trophy and Ney Award winners to the CIA for special training since the 1970s. Backed by the benefits of today’s Post-9/11 GI Bill and Yellow Ribbon Program, the CIA now has almost 200 veterans and dependents enrolled in its degree programs.